You’ve heard the statistic: enough solar power hits the Earth in an hour to meet our energy needs for an entire year. The trick is harnessing it. Today’s solar cells make use of just under a third of the energy hitting them, overheating to create “hot electrons” that escape before they can be converted into electricity. A study published in this week’s Science demonstrates a new type of solar technology could harness quantum dots to convert two-thirds of the sun’s energy into electrical power. Besides taking the discovery from theoretical science into practical engineering, one big problem still remains: hot electrons also lose their energy as they travel along the wire. 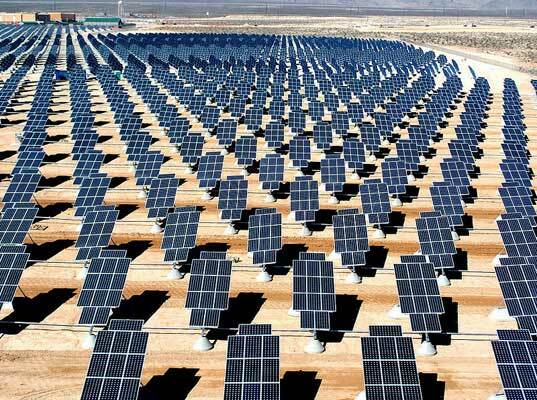 You've heard the statistic: enough solar power hits the Earth in an hour to meet our energy needs for an entire year. The trick is harnessing it. Today's solar cells make use of just under a third of the energy hitting them, overheating to create "hot electrons" that escape before they can be converted into electricity. 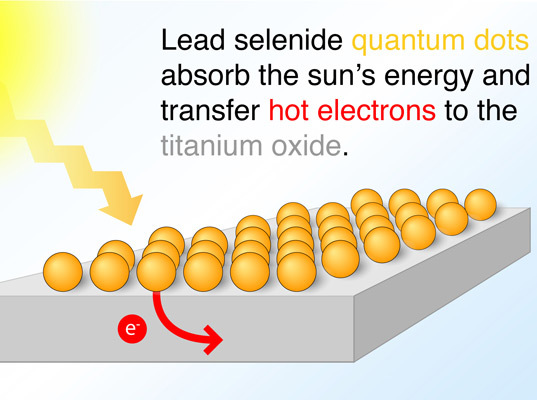 A study published in this week's Science demonstrates a new type of solar technology could harness quantum dots to convert two-thirds of the sun's energy into electrical power.